I have a 2010 A3 TDI, which I recently had serviced but not at the Audi dealer. The mechanic was unable to delete the service reminder light. 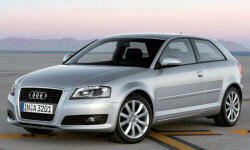 When I do an online search of this topic, while there is advice on how to do it, most is for a pre-2010 Audi A3. It appears there was a change in the procedure in or about 2009. Does anyone know if there is a new procedure and if so, what that is? I hate to sound like the guy who refers you to online forums, but this is what I found. I wish I was more tech-savvy but unfortunately am not. See TrueDelta's information for all Hatchbacks, Convertibles, and Sedans.